Finished the course "Ethics and Law in Data and Analytics" successfully on EDX offered by Microsoft by 92%. Finished the course "Reinforcement Learning Explained" successfully on EDX offered by Microsoft by 78%. There is one unstable factor in web technology and that's the shift of data processing on client and server side. 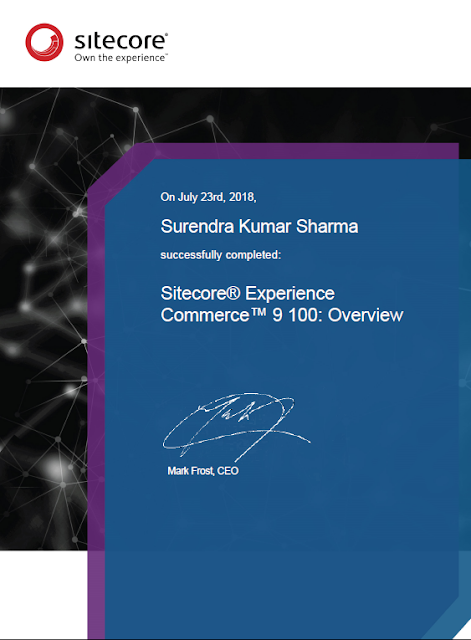 Finished the course "Data Science Essentials" successfully on EDX offered by Microsoft by 98%. 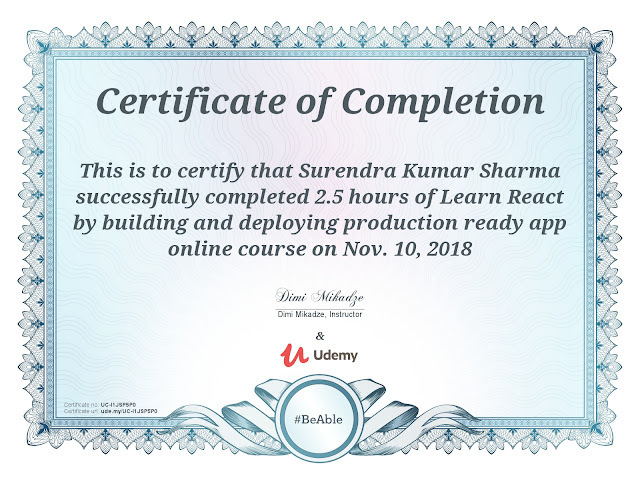 Today I completed one more course "Basic PowerShell Commands" from Udemy guided by Shakil khan. I really enjoyed this course as PowerShell is very useful to write script and remind me my college days when I tried to write code in DOS Batch files and Linux Shell scripts. It will also help me to get more use-to with Sitecore PowerShell module. Finished the course "Essential Mathematics for Artificial Intelligence" successfully on EDX offered by Microsoft by 92%. 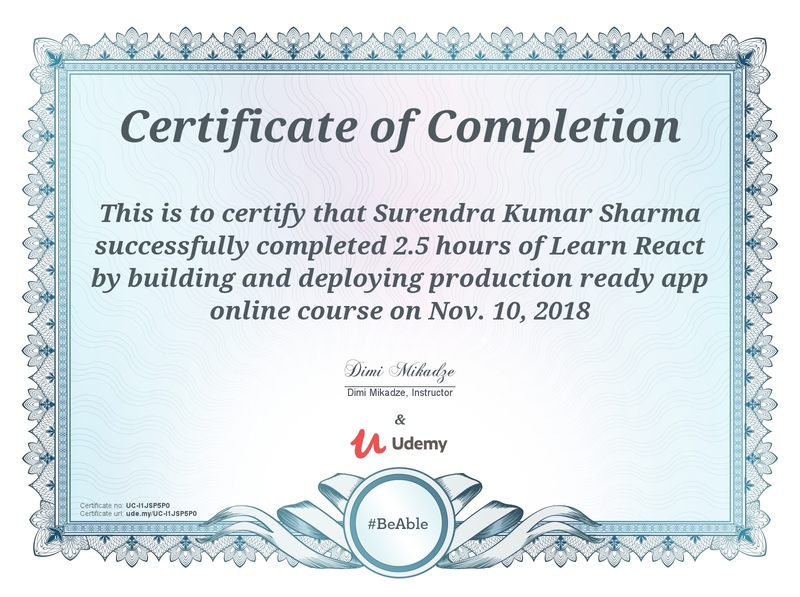 Today I successfully completed one more course certification "Getting started with Azure Tools" from Udemy. Its a 6.5 hours of free course delivered by Payal Shah. I encourage everybody to attend this useful course on AZURE. Finished the course "Introduction to Python for Data Science" successfully on EDX offered by Microsoft by 98%. Exploring Azure. 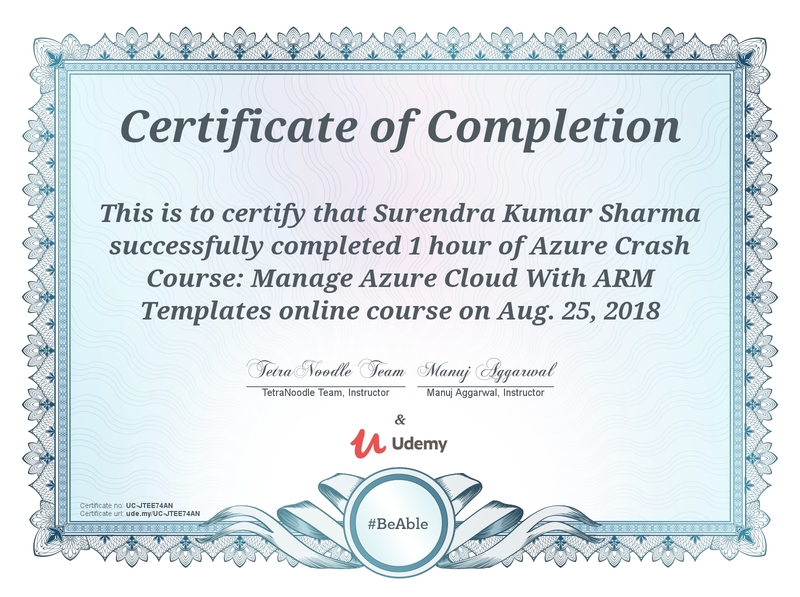 Completed one more certification in "Azure Crash Course: Manage Azure Cloud With ARM Templates" from Udemy. Finished the course "Introduction to Artificial Intelligence (AI)" successfully on EDX offered by Microsoft by 87%.